The plateau of Table Mountain contains a rich and diverse ecosystem; it is home to more than 2,200 plants, many of which cannot be found anywhere else. 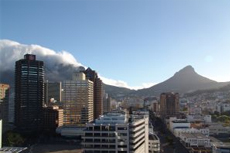 See Cape Town in its entire splendor with a guided city tour. You will be inspired by the beauty, sophistication and very essence of this South African jewel. A visit to the wine region is an absolute must, it presents some of the most breathtaking views in the area—to be enjoyed with a sip or two of local artisanal wine, of course. 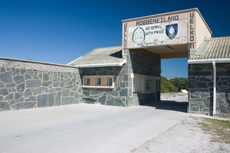 Robben Island, a short ferry ride from Cape Town, is the former penal colony where Nelson Mandela spent 18 years of his life; today, it is a World Heritage site and museum. Currently comprising four houses, the Stellencosch House Museum puts each on display, showcasing different periods in the architectural development of Stellenbosch. Interact and swim with penguin colonies on Cape Town's Boulders Beach. Experience the splendor of one of the highest sea cliffs in South Africa—Cape of Good Hope—along with its brilliant scenery and fascinating reserve filled with Cape Town's most unique plants and wildlife. Visit the beautiful Kirstenbosch National Botanical Gardens; one of the greatest in the world, they cover and are home to more than 22,000 indigenous plants. 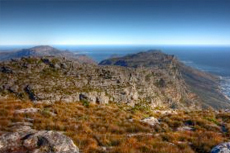 Iconic Table Mountain is the image most closely associated with Cape Town. Almost always blanketed by a "tablecloth" of clouds, the mountain bisects the city and offers views of Table Bay, Robben Island, the Cape Flats, and Cape Peninsula. If you wish to snap the quintessential photo of Cape Town, take the 10-minute cable car ride to the summit of Table Mountain. Go whenever the weather is good because clouds can roll in at any time. This entire area is part of Table Mountain National Park, and you'll find many hiking trails to suit all ability levels, several viewing platforms, two souvenir shops and a cafe. To learn more about South Africa's apartheid-tainted past, visit Robben Island. This outpost in the Atlantic Ocean was a prison during the apartheid years (1948-1990), when racial segregation was enforced by law. Nelson Mandela was sent to the prison and treated brutally, and you can see the cell where he spent 18 years. Today, former prisoners lead guided tours of the island, explaining what it was like and discussing the strides South Africa has made since banishing apartheid in 1990. Ferries depart at 9 a.m., 11 a.m., 1 p.m. and 3 p.m., weather permitting, from Nelson Mandela Gateway, at the V&A Waterfront in Cape Town. Visit the African penguins. In 1983, a pair of penguins showed up at Foxy Beach/Boulders Beach. Within a few years, the population had grown immensely. Today, there are more than 2,500 penguins in the Boulders colony, near Simonstown (40 minutes south of Cape Town). The best viewing spots are Boulders Beach, where you can mingle with the birds, or Foxy Beach, where you'll view the colony from a raised boardwalk. In Cape Town, a variety of shopping experiences might appeal to even the most jaded browser. Look for pottery, beadwork, woodcarvings and wire baskets and sculptures. Your quest begins at the popular Greenmarket Square. You'll negotiate with craftsmen from all corners of Africa at this open-air market on the cobblestone streets in the central business district (on Burg Street between Longmarket and Shortmarket Streets). The square is open every day, except Sundays -- when most vendors head to the Green Point flea market, near the soccer stadium. On Long Street, just around the corner from Greenmarket Square, is the indoor Pan African Market (021-426-4478). Here, you'll find woodcarvings, jewelry, paintings and more. There's also a lovely cafe on the upper floor. While you're on Long Street, take some time to explore the many unique shops and restaurants in the area. 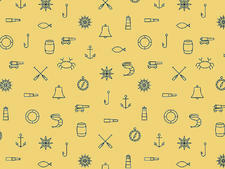 And finally, as you head back to your ship, consider a pit stop at the Red Shed Craft Workshop (021-408-7846) at Victoria Wharf Shopping Centre. Local artisans sell a variety of wares, and some even offer custom creations while you wait. South Africa is known the world over for its diamonds and gold jewelry. You'll find many boutiques across Cape Town that will custom design the perfect piece for you. Victoria Wharf is home to several reputable jewelers. Animal lovers might consider checking out the Cheetah Outreach project at the Paardevlei development in Somerset West, 30 minutes east of Cape Town, where you will be introduced to an adult cheetah. If the animal is in the mood, you will be able to get up close. In addition to the world's fastest mammals, the center is home to caracals, servals, bat-eared foxes, jackals and meerkats, and the facility features viewing platforms with fantastic views of the Helderberg Mountains and a restaurant offering wine tastings. Head to False Bay in Simonstown, and meet up with African Shark Eco Charters for the ultimate shark cage diving tour. Not that adventurous? No problem. You don't have to get in the cage; you can simply watch the drama unfold from on deck. You'll hold your breath in awe as Great White sharks approach the vessel, within inches of the divers in the cage and even breach the water. A once-in-a-lifetime experience! This is a popular pastime, and you'll find many operators offering similar trips.